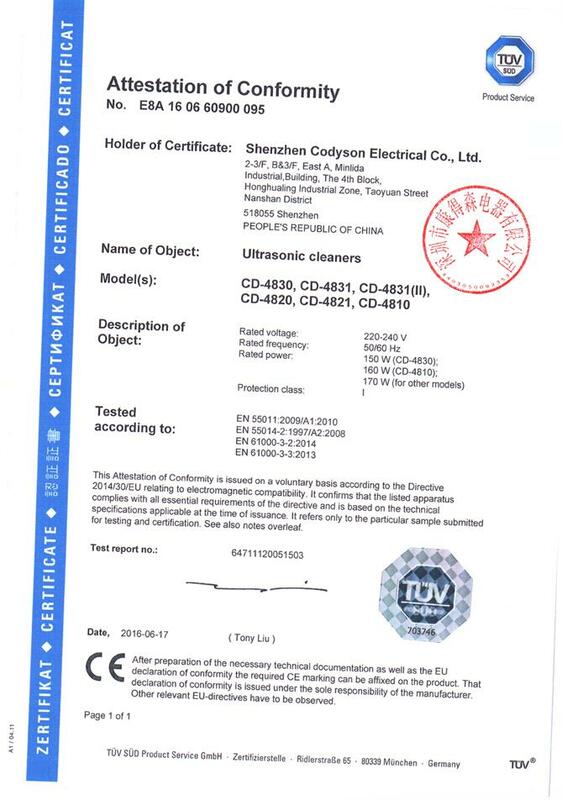 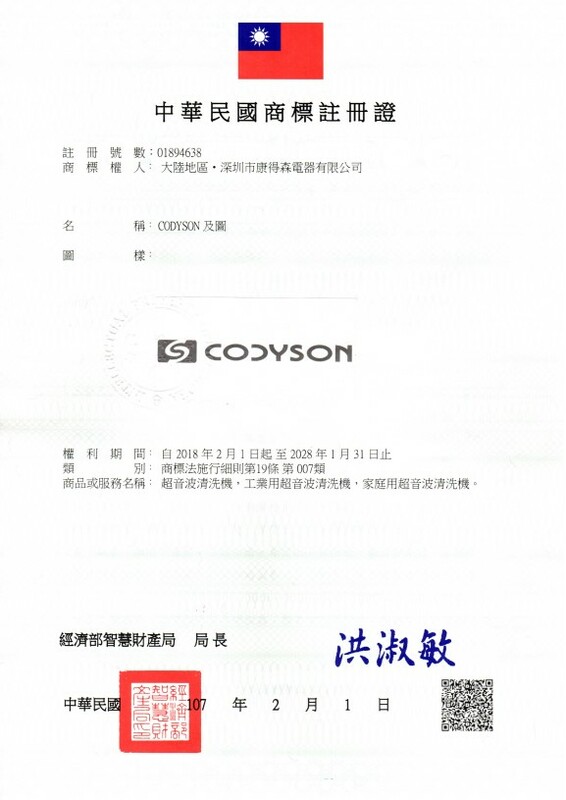 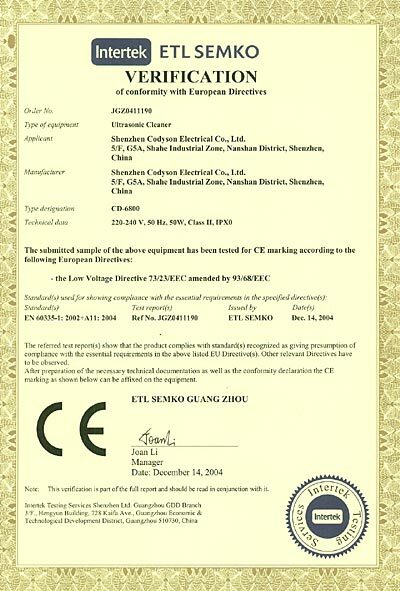 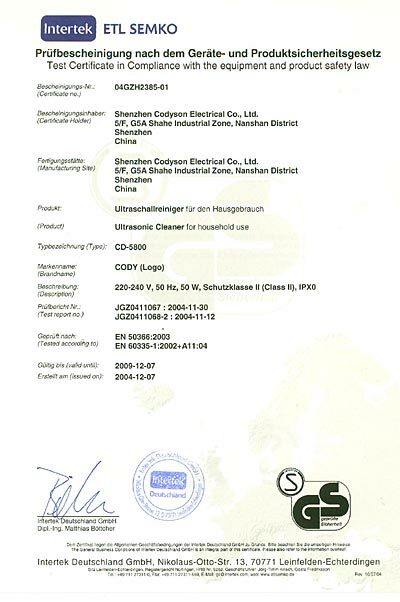 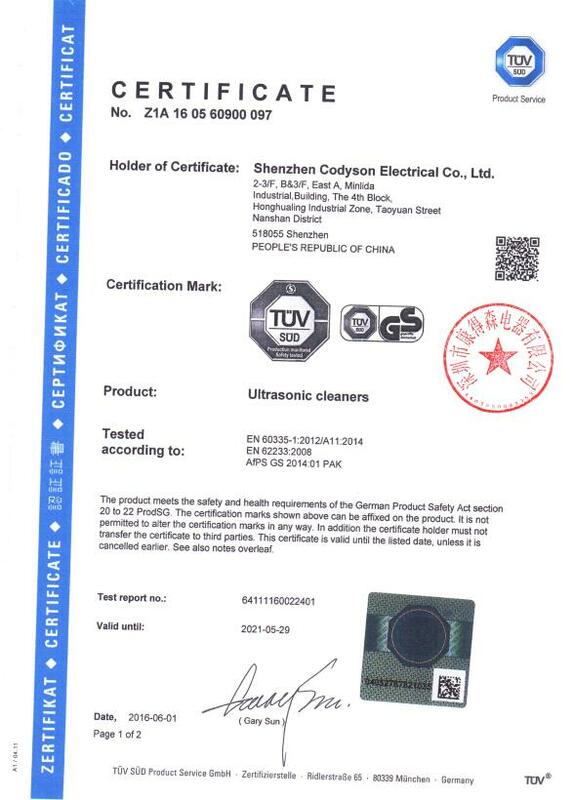 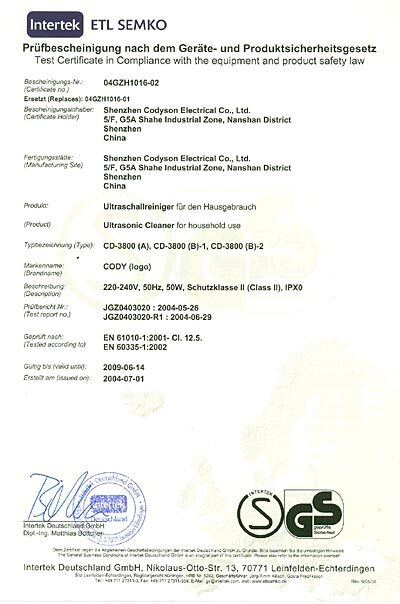 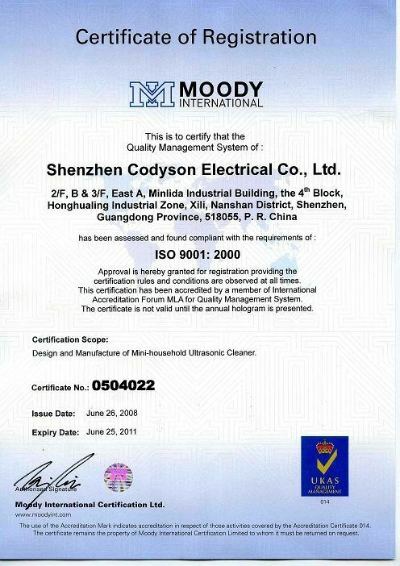 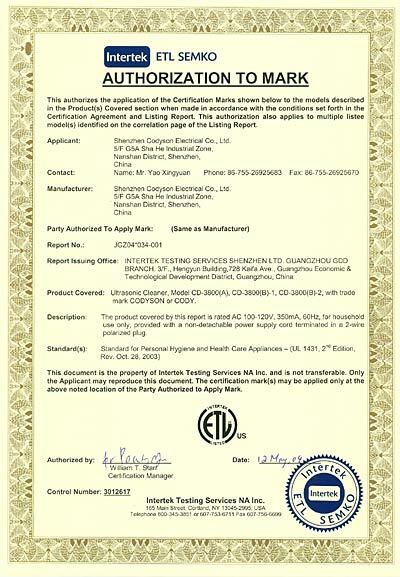 Company Overview - Shenzhen Codyson Electrical Co., Ltd.
14YRSShenzhen Codyson Electrical Co., Ltd.
(1) Professionally manufactures Mini ultrasonic cleaner. 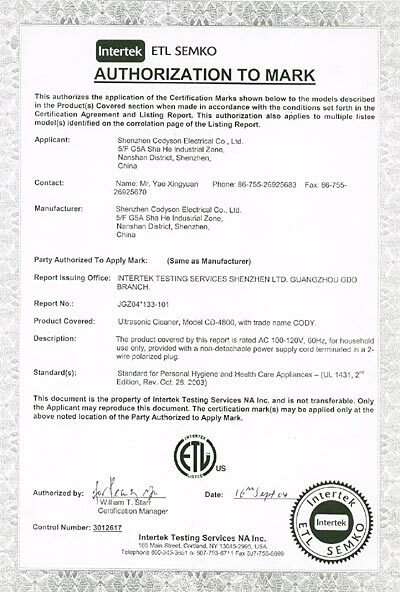 (2) All products have patent right. 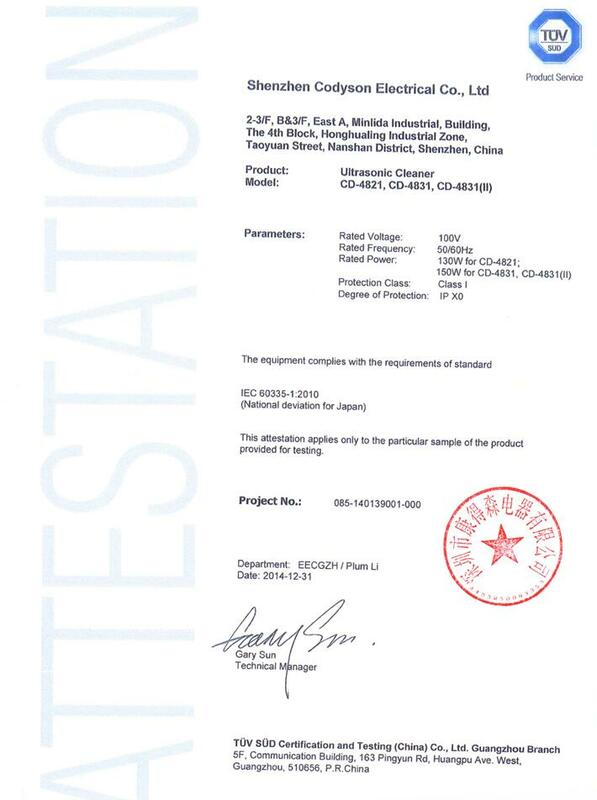 (3) Perfect R&D and test system. 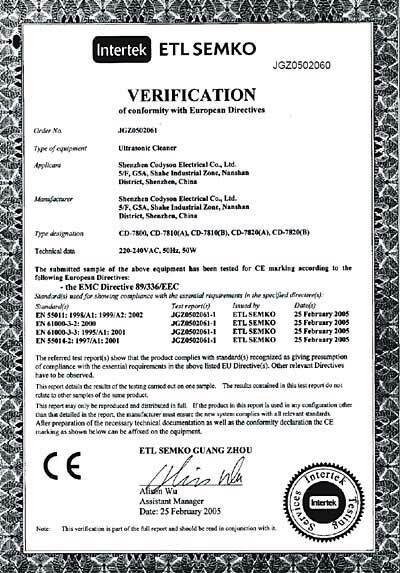 (4) International advanced equipments for AI and SMT. 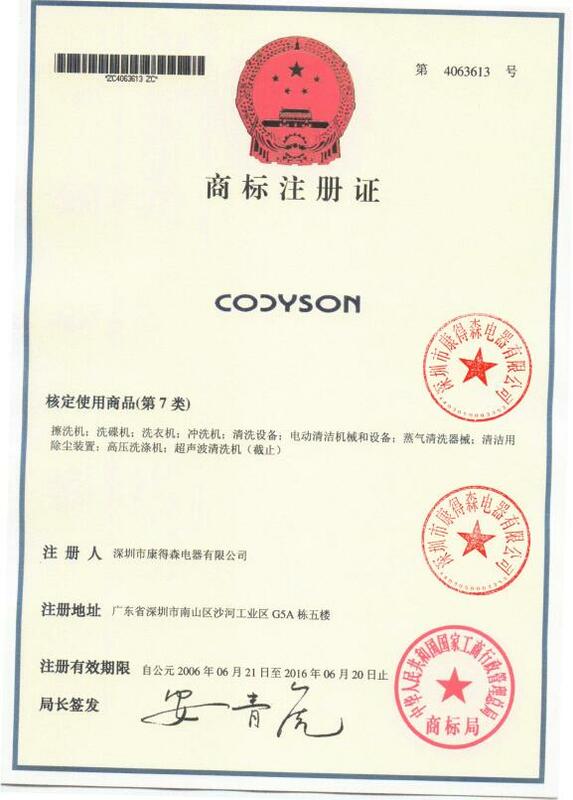 (5) Annual sales is number one in Asia, more than 9.7million pcs. 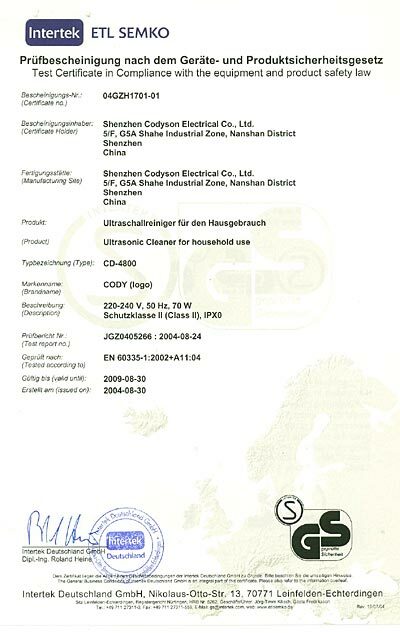 (6) The main market is in Germany, Japan, USA, UK, France and etc. 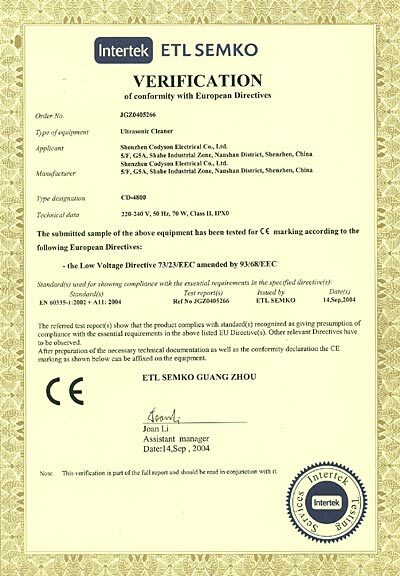 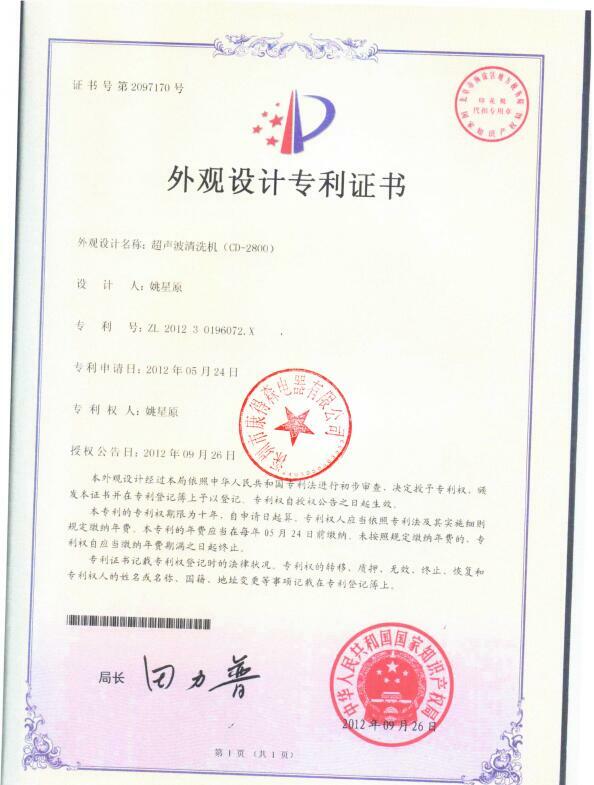 (7) All products have certificate for many countries. 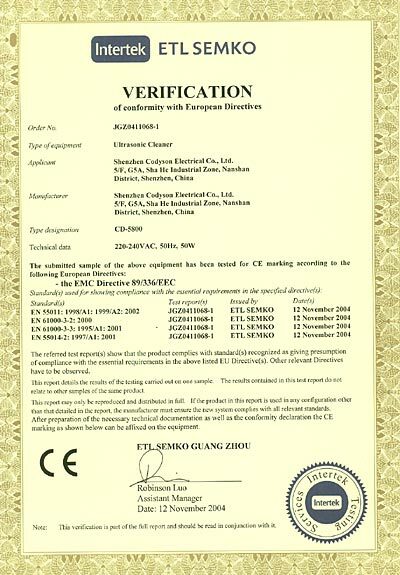 CE(Europe), GS(Germany), PSE(Japan), CETL(USA, Canada). 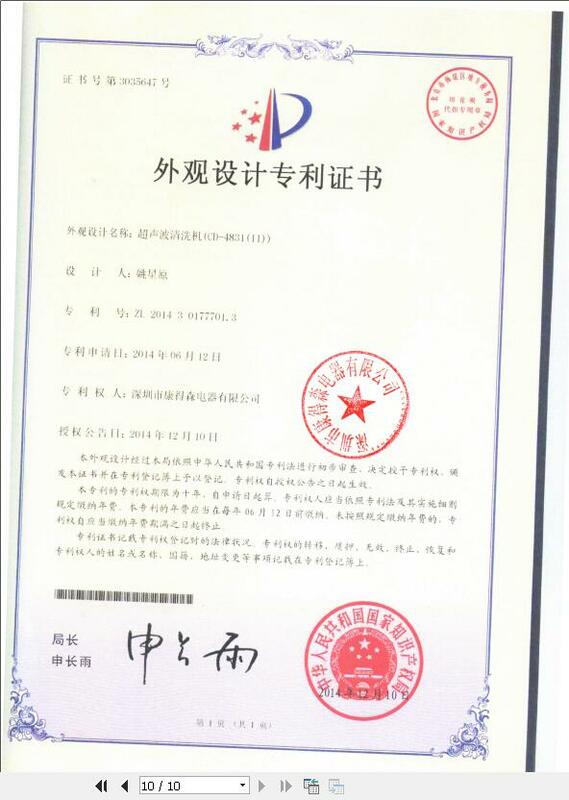 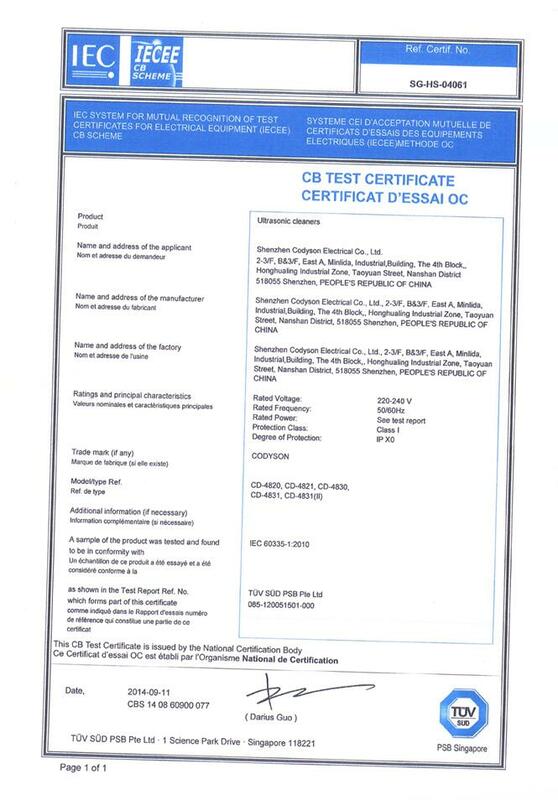 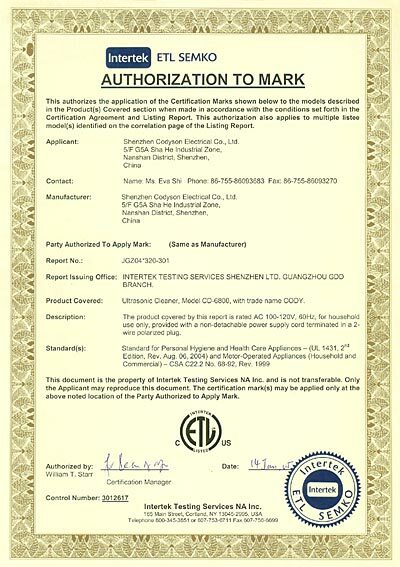 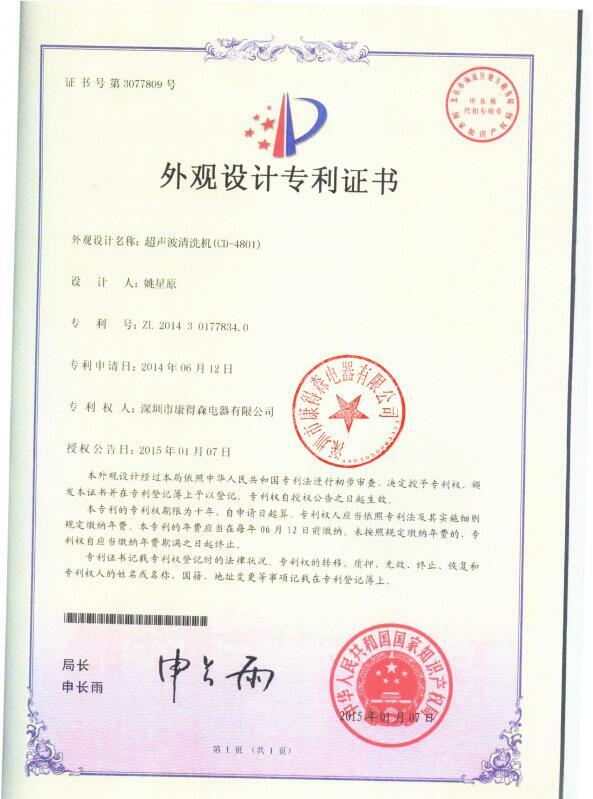 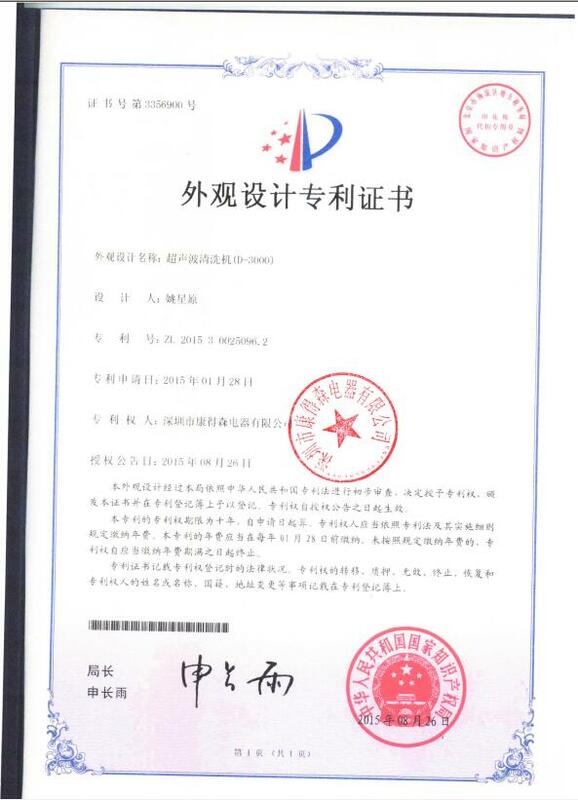 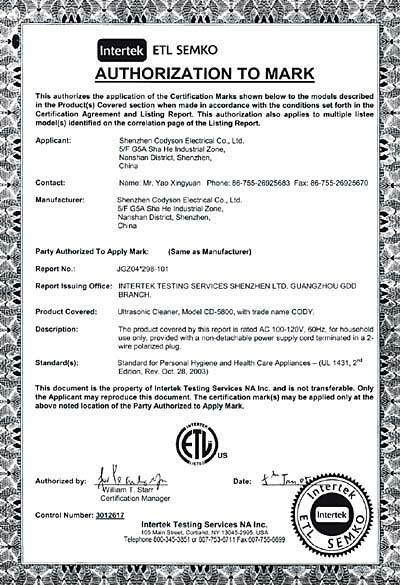 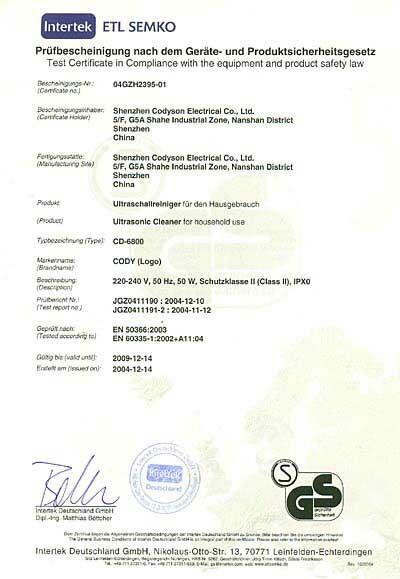 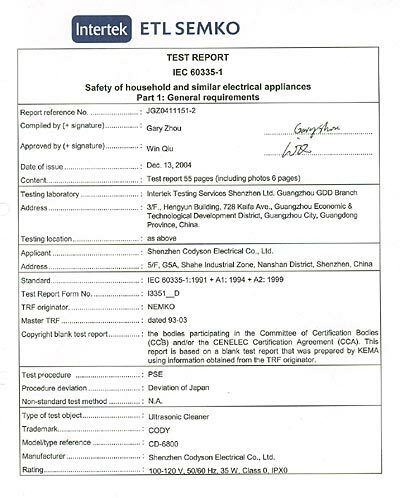 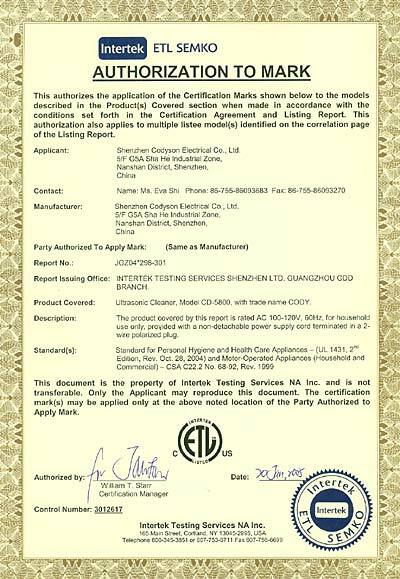 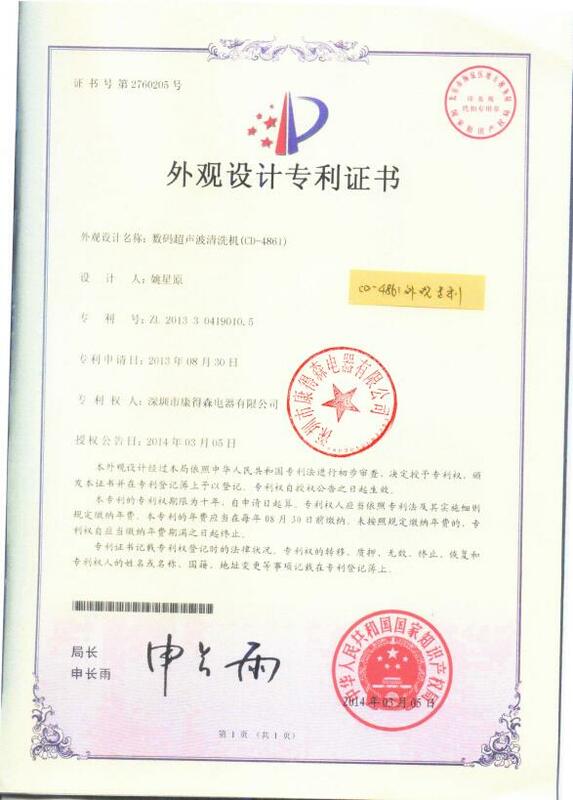 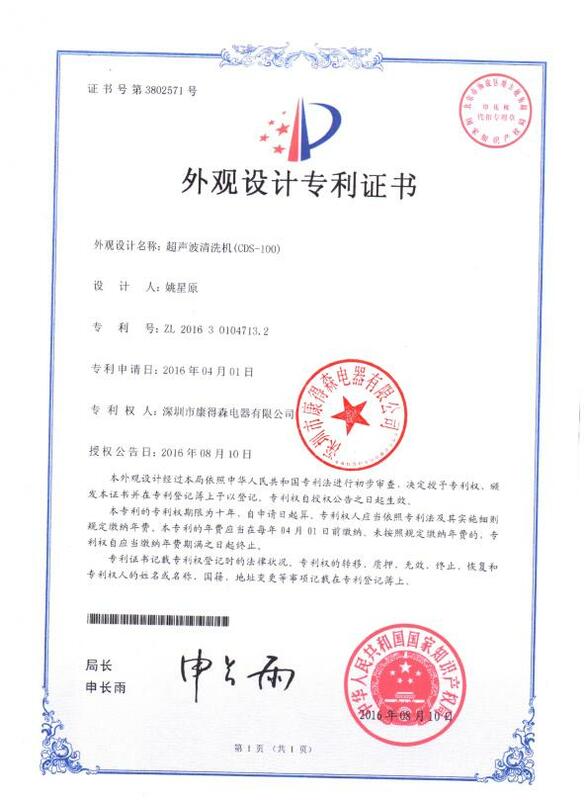 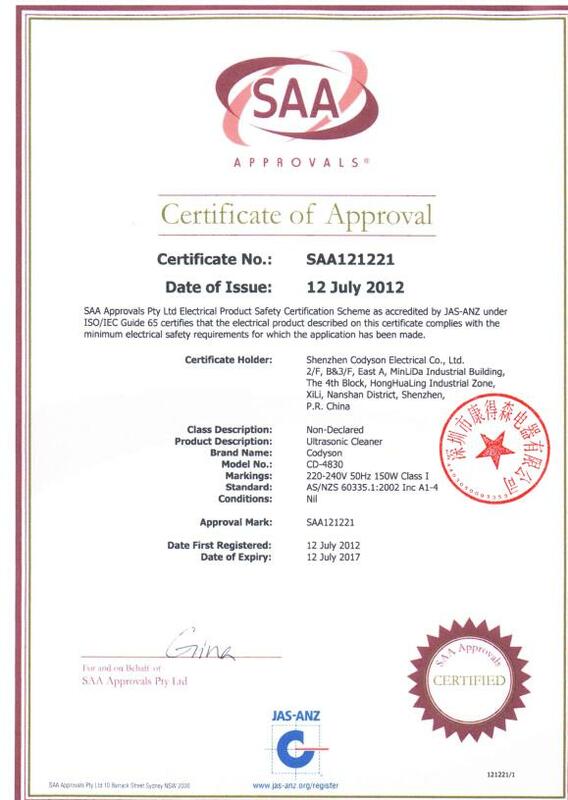 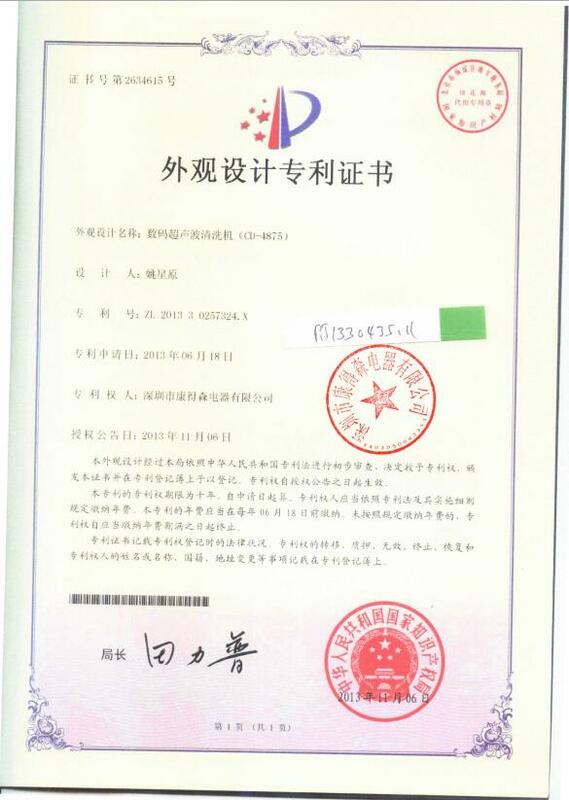 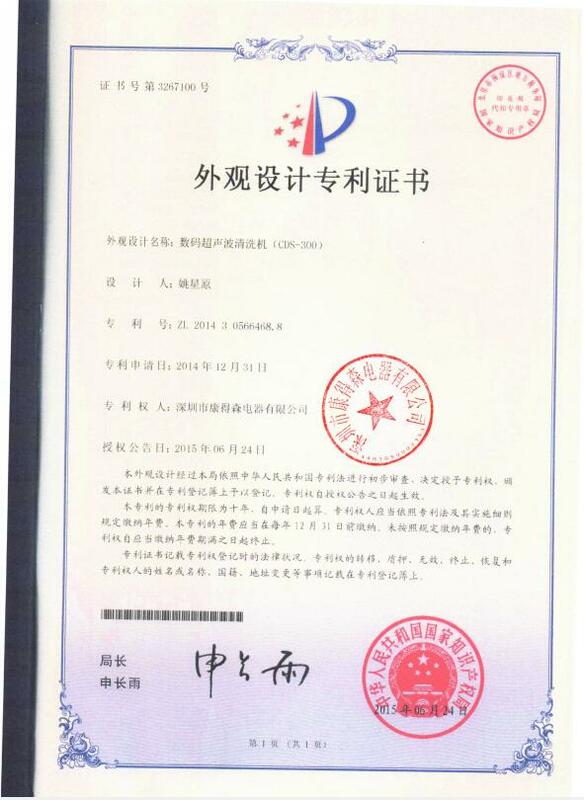 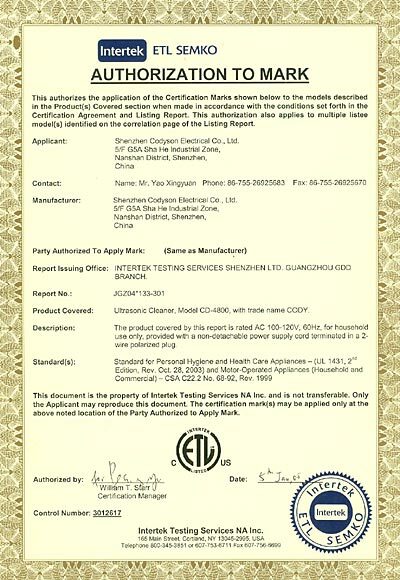 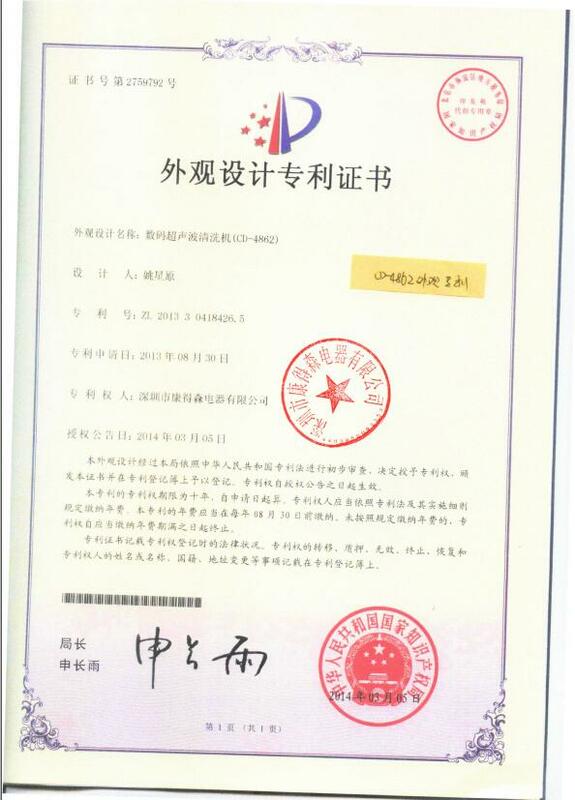 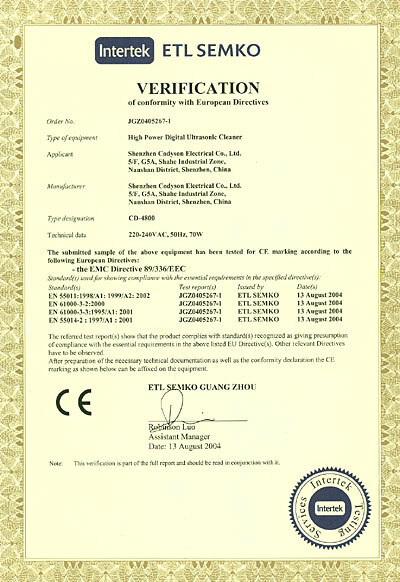 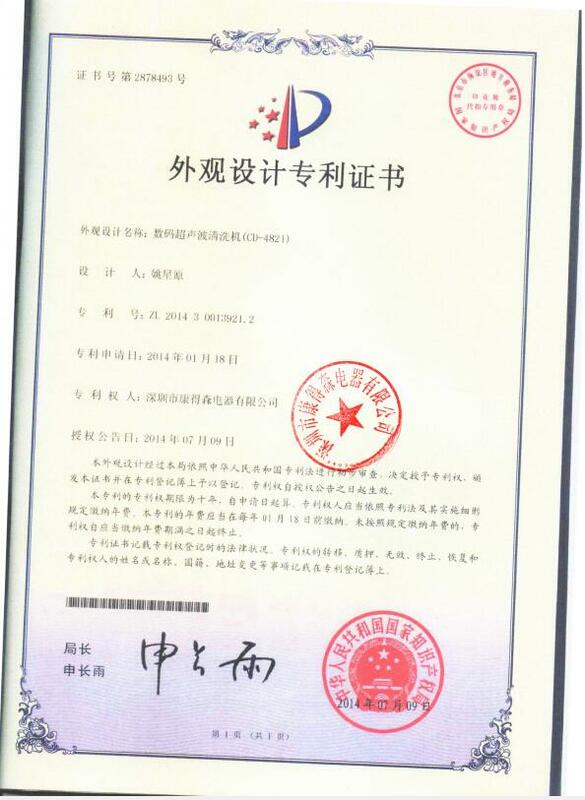 (8) Other chemical certificate: RoHS, PAHs, REACH. (9) ISO9001 approvedPRODUCT INTRODUCTION* Ultrasonic cleaner is developed based on the cleaning ability occurred between 20KHZz and 60KHz ultrasonic wave*Friendly environmental- no need any chemical solution, only need tap water*Energy-saving - the mini ultrasonic cleaner no need long time working, normally 3~5 minutes working is enough(the power is less than 50W)* It is industrial technology used on household electrical appliance. 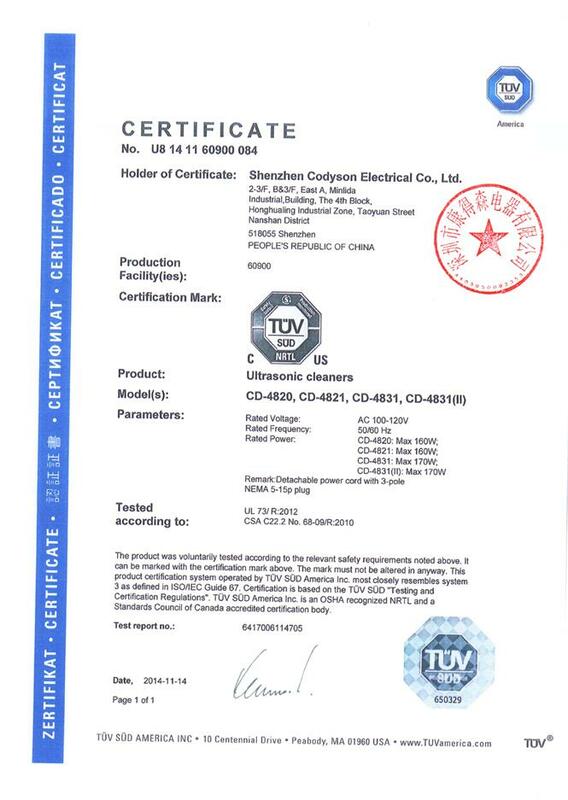 * Ultrasonic frequency:42,000Hz* Application : kinds of household commodities, such as jewelries, glasses, baby products, etc.We produce three series of ultrasonic cleaners as following:STANDARD SERIES* this series' cleaning effect is same as the digital series* pay more attention to the practicability of the products, simplify the functions to achieve simple operation and low price * with a 3-minute timer* wide application: for cleaning various of household commodities, such as jewelries, glasses, baby products, etc* specially suitable for household useDIGITAL SERIES* this series pursues the improvement and humanization of the product, a digital function is added based on the standard series* with a digital display for the timer* with 5-timer section* wide application: for cleaning various of household commodities, such as jewelries, glasses, CD/DVD,baby products, etc * suitable for household and mini commercial sitePROFESSIONAL SERIES* the difference with standar series & digital series: not pursuit a wide application but pay more attention to the speciality of the product * the product size, specification, power and the application site of this series are various* specially suitable for labs, dental clinics, mini spare part factories and commercial sites.